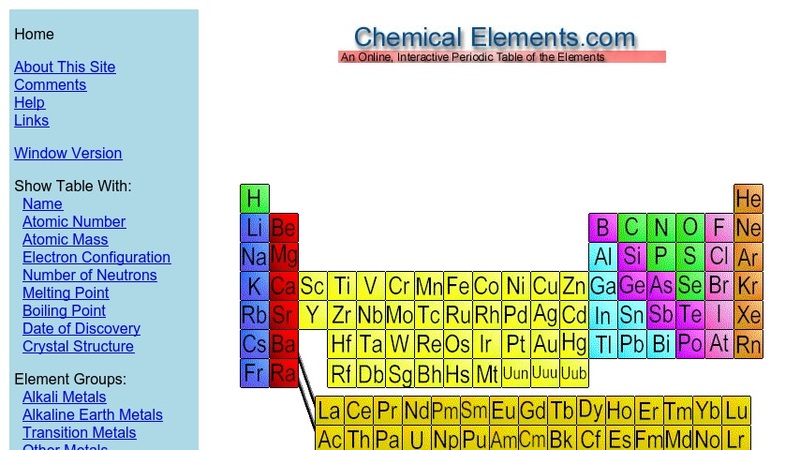 This is an online interactive periodic table of the elements which includes all elements up to 118. There are several different options for viewing, such as date of discovery, electron configuration, number of neutrons, etc. Elements can also be viewed by element groups. Additional links to further information on a particular element are given in some cases. Citation information is also provided.